Some news of concern about a criminal attack of an elderly woman in East Lake View. You have an opportunity to get more information and to express your concerns regarding criminal activity in East Lake View at CAPS meetings. 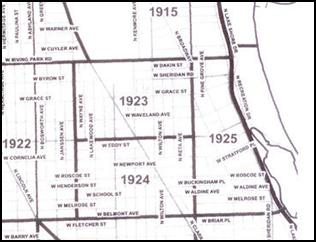 ELVN is in Beats 1923 and 1925 of the 19th District. The next CAPS meeting for the ELVN Beats will be Wednesday April 6th at 7 PM at the 19th District Police Station Community Room at 850 W. Addison Street. ELVN is normally represented at 19th District CAPS meetings. You are invited to attend these meetings. You can also advise of any concerns or issues you want to be included as discussion items with our Alderman or the Police. This entry was posted in Community News and tagged CAPS, crime, police on April 5, 2016 by elvn_updates.